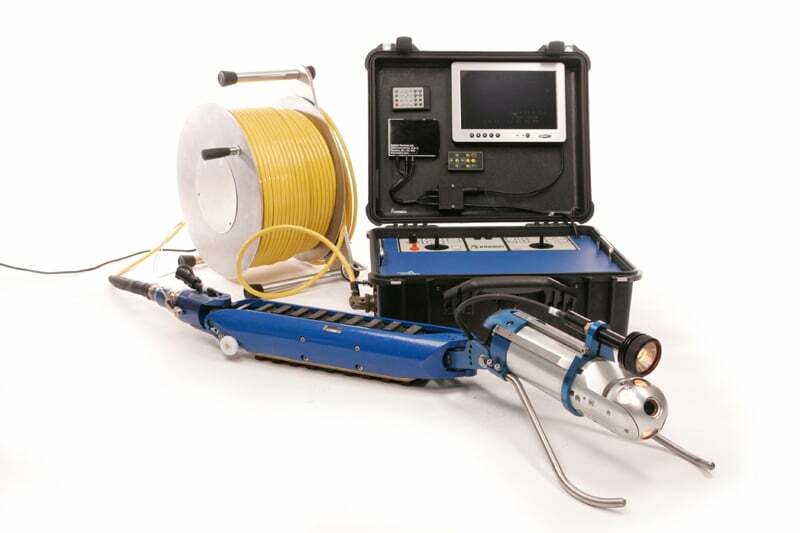 The Versatrax 150™ Inline is a modular system, long range (1,500ft / 450mm), of internal pipe inspection system capable of operation within a variety of pipe sizes. 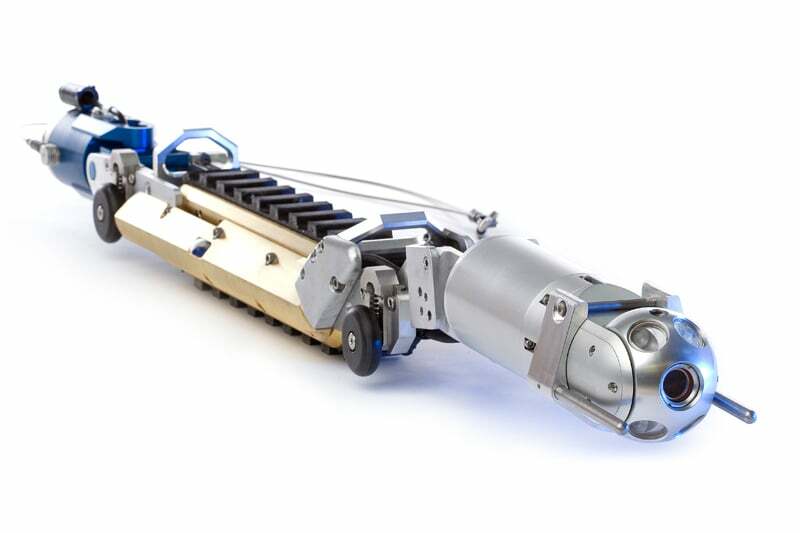 The in-line chassis system is designed for operation in pipe with a minimum internal diameter of 6in / 150mm up to 12in / 300mm. 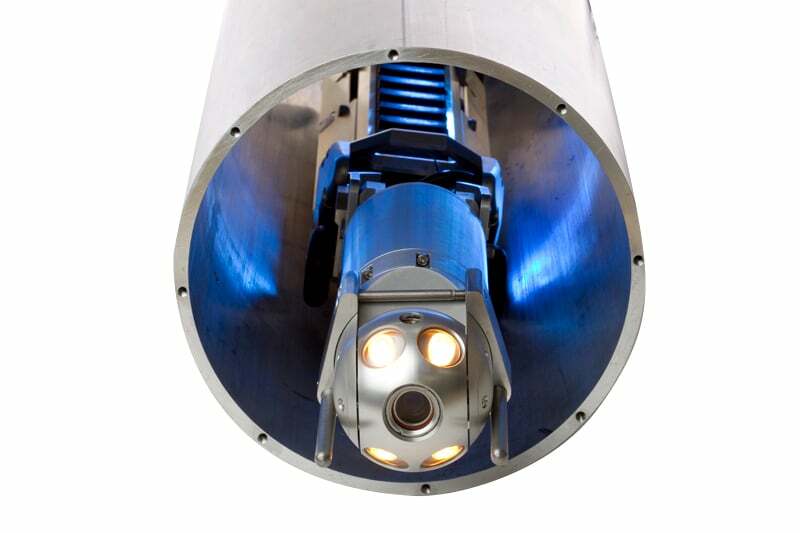 The standard Spectrum 90 (SP90) camera provides a high-quality video image with pan, tilt and zoom capability. All Versatrax units are configurable for round pipe or flat surface operation. The vehicles are adjustable for a range of pipe diameters. 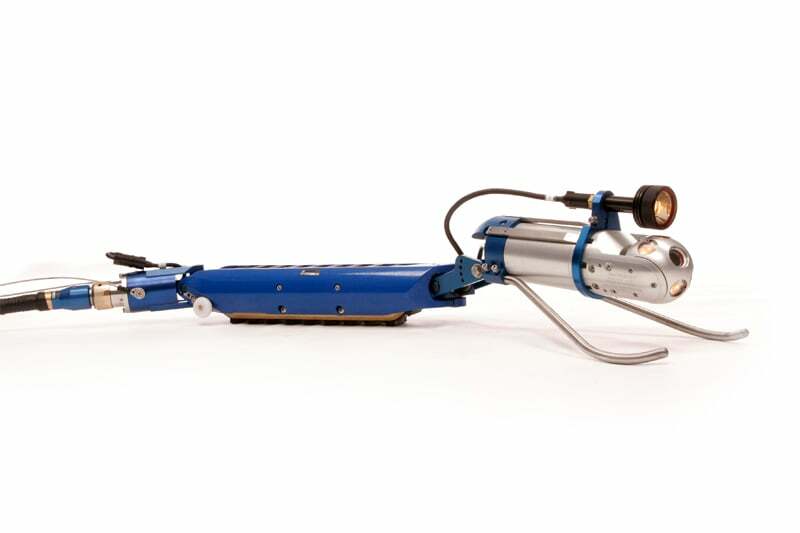 Contact us to find out more about the Versatrax 150™ Inline or any of our other robotic crawlers and tractors, or click to view our full pipe inspection camera range.